Do you want to tour Europe's coastline but feel exhausted about the daunting task of packing and unpacking many times? The perfect solution is to take a cruise along Europe's coastline. There are numerous cruises offered for the Mediterranean, the North Sea, the Baltic and other coastlines of Europe. The cruise ships that ply those waters can range from 100 to 3000 passengers. All of the newer ships cruising Europe's coastline, while very large, offer more amenities, like private balconies. All of the cruise ships will have pools, spas and entertainment. There are alternative ways to cruise Europe. You could for instance take a river cruise on the Danube or perhaps the Rhine. These luxurious cruise ships will gently ply the rivers passing beautiful scenery. They will stop at many ports so the passengers can get off and explore. These cruise ships are not tall like other cruise ships because they are designed to fit under the many bridges that span the rivers. They do not carry the mega amount of passengers, usually 50 to 200. Another choice would be a barge cruise. Many small barges have been converted to luxury cruise ships. These ships can maneuver in the smaller rivers and canals. Since they carry very few passengers (6-12) they are a more intimate experience. You will need time for cruises such as these. They travel slowly and make overnight stops in small villages. Then there is a Yacht cruise which appeals to the heart of all want to be yachtsmen. These too are much smaller and you will experience amore intimate cruise. But let's go with the traditional cruise that visits lots of ports during the cruise. Since you have invested a lot of time and money to get to Europe you will want to choose a cruise that visits lots of ports in many countries. Go for a 12 to 14 day itinerary visiting countries that interest you. Review the tours offered before you leave so you know which ones you want to book when you arrive at your cruise ship. Usually the cruise ship will stop in a port during the day traveling to the next port during the night. Occasionally, a ship will overnight in a port giving you more time to tour. A typical day aboard a cruise ship in Europe starts with breakfast being delivered to your room and placed on your balcony so you can watch as you gently glide into port. If you don't have anything planned for that day go the restaurant deck and enjoy a hearty meal. If you have a tour booked, head for the meeting area that has been designated by the cruise line. In most cases the tours are four to five hours long giving you the rest of the day to explore more fully. If you have planned it right you can do your tour, then return to the ship for lunch, then go out in the afternoon to hit the spots you have chosen to see. Most cruise lines set sail for the next port in the early evening around 5 or 6 o'clock. After you have watched the sail away, you have time to get cleaned up, have a drink and then have a leisurely dinner. There is always entertainment after dinner to enjoy. The casino and the bars will be opened to the late hours but remember you have an early start the next day. If there are a couple of days where you are not in port the cruise ship will provide plenty of activities that you can join. They have art auctions, trivia, bridge, lectures, fitness classes and much more. And don't forget the spa. Make your spa appointments early since the sea days tend to be booked solid. So if you have decided to cruise the coasts of Europe you need to consider a few things. There are many destinations to choose from with the Mediterranean being the most popular. But you can opt to do the Baltic, Scandinavia or the British Isles. Now you have to pick a cruise line that sails in to your chosen itinerary. Some of the cruise lines, like Radisson, SilverSea, and Windstar are small and intimate. These cruise lines emphasis luxury and service. The other main stream cruise lines, Princess, Celebrity or Holland America, to name a few, carry thousands of passengers, from 1500 to 3000. They are really floating resorts. Of course the costs should be considered too. If you can afford it choose to sail on a luxury cruise line. Now you have to compare the amenities of each luxury cruise line. The cabins on a luxury cruise ship tend to be the size of a suite on the mega cruise lines. Check the cruise lines brochure for square footage. 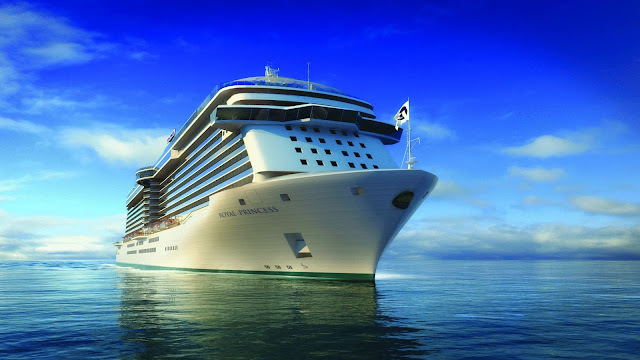 Find out what is included on the different luxury cruise lines. Some include drinks and wine with dinner. Others require no tipping. Some include the airfare. These are all things to consider when you choosing which luxury cruise line to sail on. Spa and beauty treatments will always be paid for by you. In some cases the tours are included and in other they are not. Do your homework to get the best deal. Talk to an experienced cruise travel agent. They will help you get all the information you need. Many times by booking early you can see substantial savings. You can save a little money if you have frequent flyer miles, so request a cruise only fare. Most of the luxury cruise lines will not allow you to book a cruise except through a travel agent. On a European cruise be aware that you will not have time to do any in-depth studies of the ports you visit. You will get a "taste" of each port that will whet your appetite to visit the destination again at another time and stay longer. You may want to choose a cruise line that overnights in a port or you could buy one of their pr or post packages in a port of call. Go check out what cruising Europe's coastline has to offer. A cruise may be just right for you because it is a cross between a resort vacation and a holiday in Europe.